You can tell that this book is not written by a professional writer but by a BRILLIANT SPEAKER. (Am I being dramatic? Not the first time.) It is AMAZING and you MUST read it. You can tell that the writer as a really honest descriptor. I love his perspective. It perhaps helps when you think critically without bias and find amusing some of the most horrible and saddest things that have ever happened in the course of the world history. Apartheid! From a child's point of view, and then an adult's. This time was barely two or three decades removed from now in the past, and today when we talk so much about the human rights violation on the internet, as here now, somewhere these things are still happening in one form or another. Some of the times I was reading I was amused and chuckling here and there (Hail the great comedian!) but suddenly my eyes would tear up and the sadness remained. But still, I am not depressed. 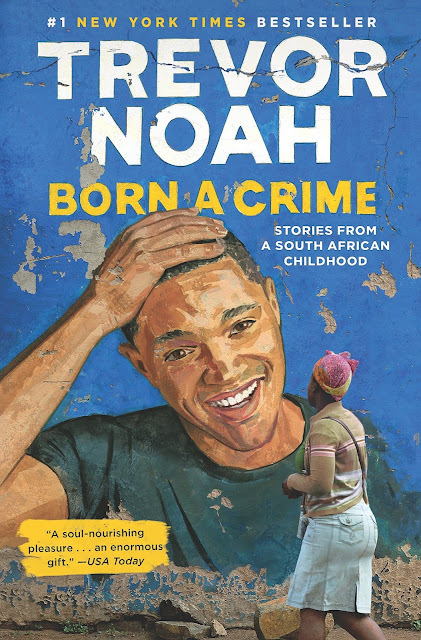 The best part of the perspective of Trevor Noah who indeed was born a crime is that in spite of the tragedies shaped up his life and which he writes (or in my head, speaks) of, he still had fun and you are still hopeful about the future. 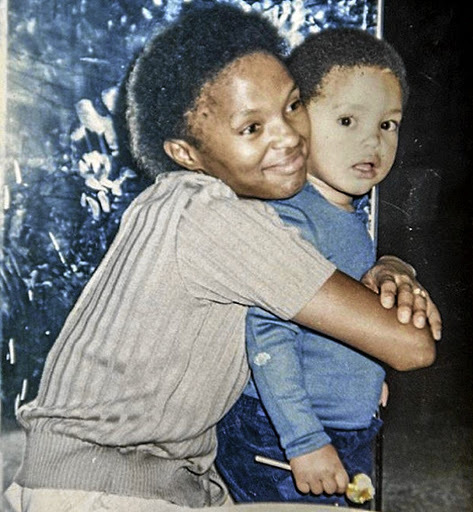 The bond that Trevor and his mom share with each other is endearing. He was there because his mother wanted someone to call her own, just her own. Beautiful, and strangely sad with the hint of a tinge of a smile, isn't it? I am amazed by the personality of his mother. What an amazing woman! I want to ask Trevor Noah about Teddy. What happened to him? What is he doing now? Where is he now? How did that incident affect him and Trevor's friendship - best friendship - with him? His narrative had made me understand an aspect of apartheid which my history books failed to teach me. I know it was slavery and racism of the 20th century, but I didn't still know what it actually was and was capable of. Hailing from a developing country myself, some instances are too familiar and so are some imprints of a fair-skinned rule even almost a century after freedom, and the inherent racism that we accept even though we were the victims. I LOVED this book, and would recommend everyone to read it, even the not-so-voracious readers! It's frankness and the ability to try to keep moving forward provides you with not only a much-desired understanding somewhere but also gives you hope and a lot of chuckling smirks (that make you wise, eh!? :P )!